The IFR pilot training curriculum will be upgraded to include the use of LPV. Relying on the experience of the local partners in training IFR pilots, this curriculum will also be made available in English for other EU member states to enjoy. Capacity building will be organised through a series of working groups to following learn by doing methodology. The different workshops are also open for enrolment for interested stakeholders, with ICAO expressing support to provide material and help in getting participation to the procedure design and safety case work shop. 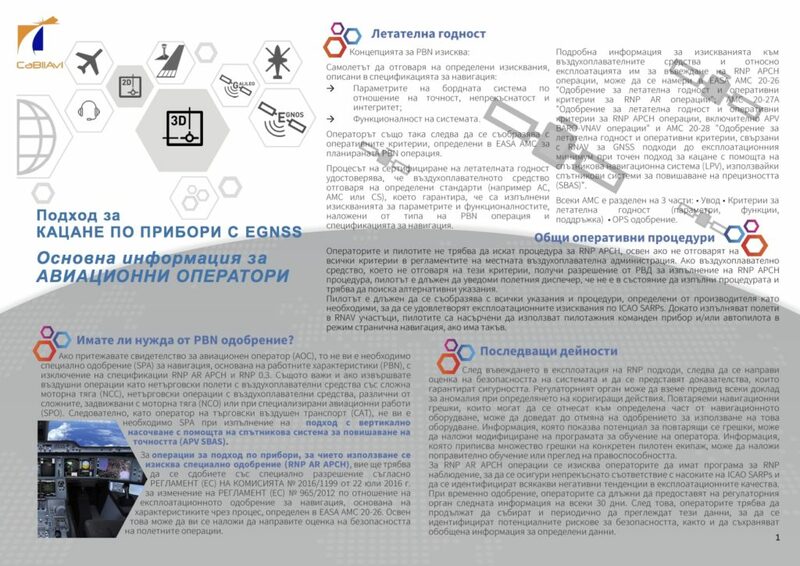 VFR pilot awareness activity is led by the Czech and Slovak partners with the very active involvement of the partners who will use their local connection to the pilot community and the local CAA to adapt, translate and disseminate the material. 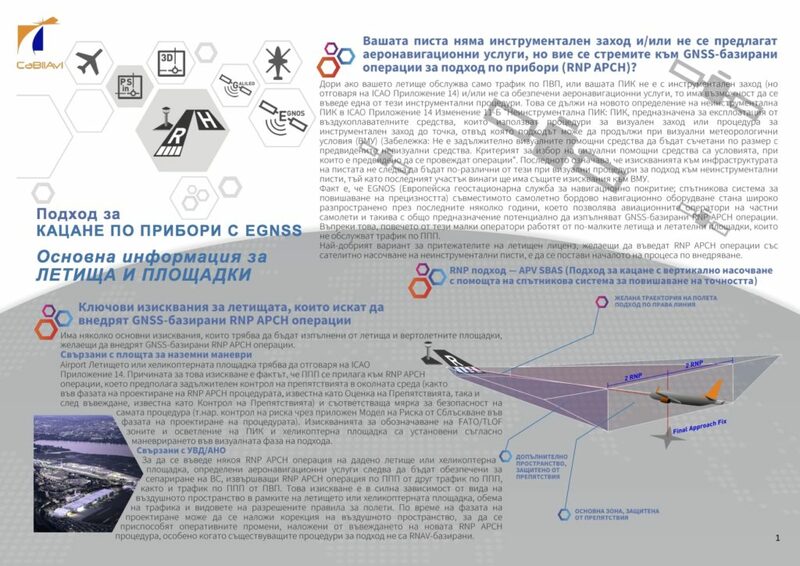 Dissemination and promoting of material produced in CaBilAvi, through an interactive portal, as well as a printed information packs targeted at (smaller) airports to explain what benefits EGNSS can offer them, how to get it a procedure. 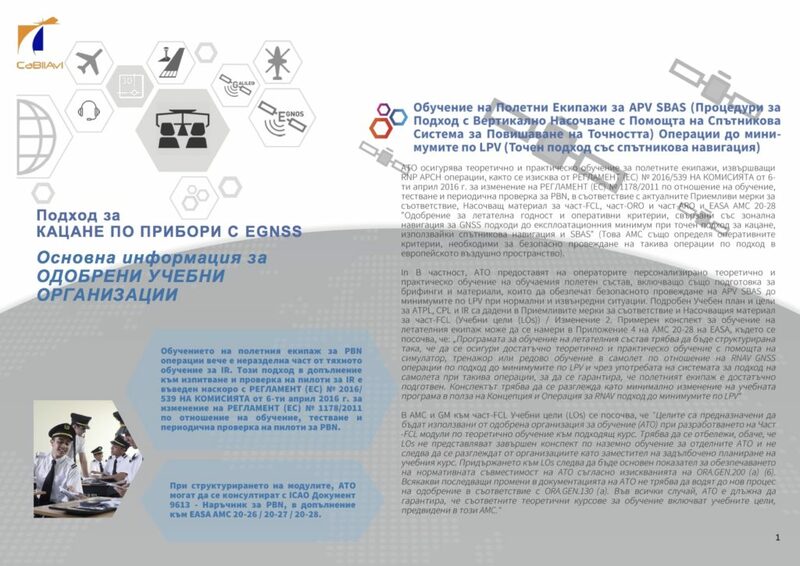 An EGNOS yearbook will be published.